Have them look through the books and have each of them come up with a question about a planet. 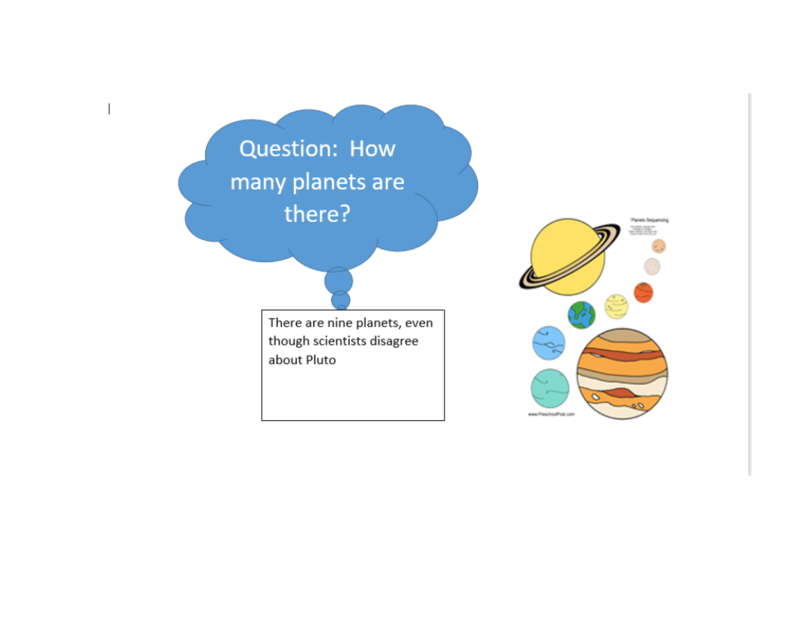 Students will use shapes in Word to type their question and answer. Use the link at the left to find a coloring picture of the planet their question is about. They should save the picture and then insert it in the word document. They will print their document and color the planet referring to the books or look up the planet online to get the correct colors. Their document should be similar to the example below. Compile all of the pages into a book.